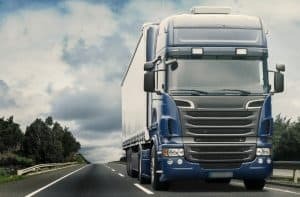 The Royal Haulage Association (RHA) has expressed delight at the start of National Lorry Week, which offered evidence that more people want to be lorry drivers than ever. Across the country, hauliers have been opening up their premises to the public, and have been pleasantly surprised at just how many people have turned up to take an interest. Commenting on the start of the week, RHA chief executive Richard Burnett said: "Based on the success of last year's event, we were confident that Love the Lorry 2016 would be just as good but we didn’t realise just how successful this year’s event would be. "We're only one day in and already the response from members has been phenomenal. The number of events around the country has increased, not only in number but also in size." He said the fact that the public has been "turning up in droves" means that the theme of this year's National Lorry Week – 'The Next Generation' – has clearly met with just the sort of enthusiasm needed to show that there will be a plentiful supply of people keen to work in haulage in the years ahead. He noted that as well as the public events, hauliers are involved in a range of events ranging from road and cycle safety to schools workshops, with the latter taking the message into schools and teaching youngsters about what the road haulage industry does and how they might consider a career in it. Mr Burnett added that the sector has also been given a boost by news that it has friends in high places. The RHA held a National Lorry Week reception at the House of Commons last week aimed at raising awareness of the industry and its issues among MPs. One of those in attendance was minister of state for transport John Hayes who, it turned out, already has a good knowledge of the sector as his uncle was a long-distance lorry driver.